AlfaClear Drains offer a comprehensive drain repair service and can assist with everything from collapsed drains to repeat blocked pipes etc… Our team of trained engineers will be able to find any drain problems quickly and efficiently repair the drain to minimize any disruption to your home or business. For drain repairs our engineers follow a basic procedure and for the most part can tell what the problem is from using manual rods and years of experience. 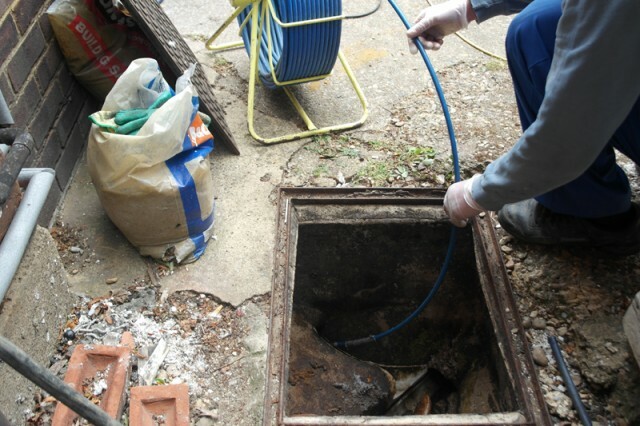 If necessary we will carry out a CCTV Drain Survey investigation to find the problem and ensure that we understand the full extent of the damage or blockage. We can then use our drain jetting service to remove any blockage/waste from your pipe system to get them back to full working order. AlfaClear Drains Guarantee we will get the drain repaired first time! Our team are fully qualified drain repair specialists and contractors – You can rest with the peace of mind that your drain will remain unblocked and any services we carry out are provided by our fully qualified drainage engineers using the latest technology and approved industry machinery. Wherever possible we will carry out work with as minimal mess as possible and will not dig up the ground or garden around the drain unless absolutely necessary. Our specialist drain excavation and drain repair services go beyond this including; full structural repairs, drain excavation and drain replacement should you need a more extensive drain repairs. If you would like to get a free estimate on your drain repair work or require us to come round and assess the blockage or problem, please call us today. 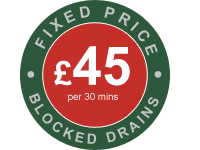 We provide drain repairs for Ealing and surrounding areas in London. Contact us on 020 8723 2424 or email us via our contact form and one of our team will be happy to help.